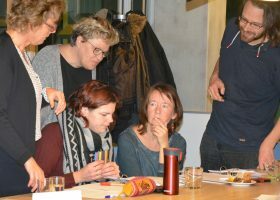 The TPD course designed by the Science Education Hub Radboud University comprises five face-to-face 2.5 hour meetings spread over eight weeks. Course activities include interactive seminars and practical assignments. Teachers are acquainted with the elements of the SSIBL pedagogy and learned how to implement a SSIBL project in their teaching practice. The Science Education Hub has developed several educational tools to help teachers and students during a SSIBL project. Participants practice using these during the course. They are given ample opportunity to develop their own SSIBL scenarios based on controversial issues and encouraged to provide feedback on the tools provided. The TPD course consisted of five face-to-face meetings of 2,5 hours. 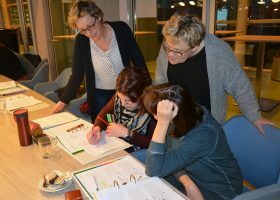 In the course, the Science Education Hub Radboud University familiarizes in-service teachers with the seven stage of inquiry-based learning, focusing on how they can be applied to socio-scientific issues, and how they can be used to design citizenship education. In our approach, first the central topic or theme is being introduced by the teacher using a scenario. The scenario describes a controversial issue in a way that is attractive to primary school children. The scenario includes different perspectives on the controversial issue and is open-ended. Through series of questions, children are encouraged to think through the issue and to take a position. In the exploration phase, more attention is paid to exploring different perspectives. The IBL approach to socio-scientific issues culminates in teaching the teachers to guide their students in formulating their own research question and designing their own research into different perspectives regarding a theme. 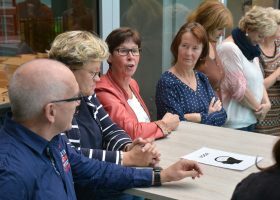 The Science Education Hub Radboud University has developed several tools to help teachers to guide the students. An important skill for teachers during the research phase is scaffolding, a method for teachers to support students in open forms of learning. The TPD course devotes a course meeting to this method. Finally, teachers learn how to guide their students in processing the data they gather and how they can stimulate students to take action based on the conclusions of their research. 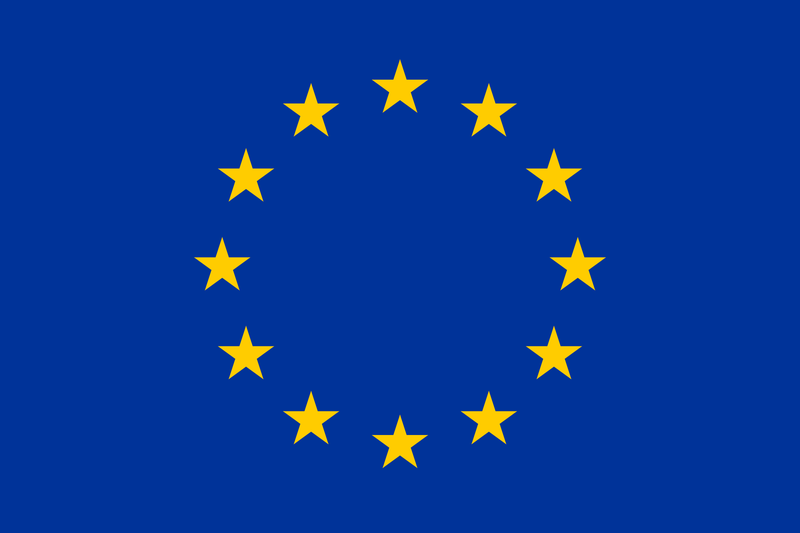 All tools and materials, presentations and examples are available under resources. Understand the different elements of the SSIBL framework, including the teaching skills required for these elements to be implemented in schools. Analyse socio-scientific issues in terms of scientific, social and ethical viewpoints. Develop SSIBL activities for pupils to be implemented in classroom practice. Implement an existing SSIBL module in their teaching practice to explore scientific, social and ethical viewpoints related to an SSI. Critically reflect on the TPD course and propose means for future improvement, in terms of both the SSIBL project, the enactment of the pupils’ SSIBL activities, and the content and organization of the teacher training. What are teacher attitudes towards and perceptions of the SSIBL approach? 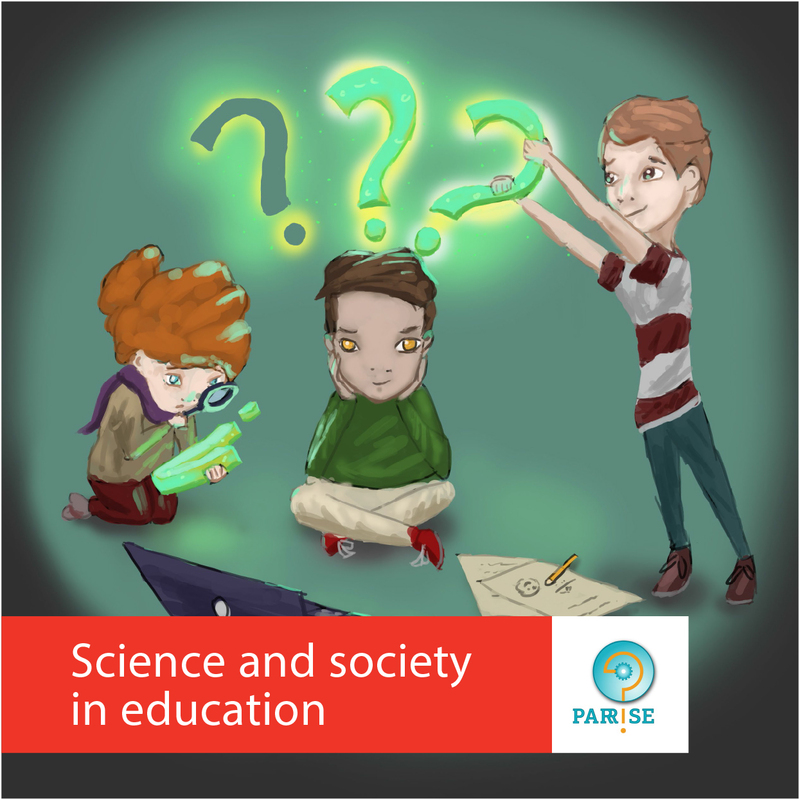 To what extent can teachers integrate the PARRISE SSIBL-approach in lessons they develop? What challenges do teachers face when trying to integrate SSIBL in the tasks they design? How could the TPD course about SSIBL be improved?